SUNMEDICAL, INC., was established as an importer of medical equipment in 1988 as a spin off company from Sanshin Shokai Co., Ltd. Since our establishment, we have continued to import and sell only the most technologically advanced and highest quality of physical therapy and relaxation devices from around the world. We believe that our continuous pursuit and provision of the highest quality will continue to maintain a high level of customer satisfaction. We make several trips abroad every year to visit international exhibitions and to conduct inspections of various manufacturers. We conduct communication and other forms of interaction activity with overseas medical equipment manufacturers in an effort to enhance our business relationships and the exchange of the latest information from around the globe. In order for our customers to gain more understanding of Sunmedical products, we take part in exhibitions and conduct seminars in a very positive manner. Our regularly held seminars provide us with an opportunity to contribute to the fostering of networking between our customers. It is our objective to continue to listen and make every effort to answer our customers' needs at all times. Sunmedical applies a lot of time and energy into its after-sales service so that customers are able to feel at ease when using our products. We conduct maintenance support for all products and have gained the trust of our customers. Furthermore, we publish a regular magazine 'Assistant', which is distributed to our sales offices and customers in order to provide up-to-date information on the machines we sell. This combined with effective use of the internet information transmission and exchange helps us to contribute to customer networking. Leading the world with superior pain analysis treatment technology. The Electro-Acuscope 80L and Electro-Myopulse 75L are the latest released models of Electro-Acuscope and Electro-Myopulse devices using the most advanced pain control and injury trauma rehabilitation technology. These instruments are I/O controlled devices designed for precise treatment delivery required to control even the most difficult cases of pain, trauma and injury, including a wide variety of muscle and connective tissue problems. The most comfortable support chair available. Oakworks provides premium quality massage equipment including a comprehensive selection of stationary treatment tables. The range of massage equipment and accessories are targeted at the massage therapist and bodywork professional market and include the Portal Pro, Desktop Portal, Portable Bed and other on-site or seated massage chairs and beds. No matter how the times change, we think that it is one of the important themes to have "No Pain" Life with wellness forever. Besides, SUNMEDICAL,INC. has been introducing foreign medical devices as well as products with our many experiences, the know-how which we suggest the ideal method of the medical devices as a complementary role of treatment for "Pain", and establishment of the strategic partnership with the foreign manufacturers. Under the present circumstances, our mission is to help everyone to be smiles with pain free, and to contribute to the society by the supporting doctors, practitioners, physical therapists, patients and so on through the medical devices. SUNMEDICAL,INC. always continues changing and evolving by etching thanks and emotion in our mind. Company Name : Sunmedical, Inc.
Business Activities : Import and sales of medical devices etc. Associated Company : Sanshin Shokai Co., Ltd.
Commenced business under the name Sanshin Shokai in Chikusa-ku, Nagoya. March 1988-　 Established Sunmedical, Inc. dealing independently in medical equipment. October 1988-　 Commenced importing and selling Acuscope Myopulse. March 1989-　 Opened Tokyo Branch. October 1991-　 Signed a general agency contract with Nemectron GmbH, Germany and started importing and selling its equipment. May 1992-　 Constructed and relocated to our own current HQ building due to the expansion and fulfillment of business activities. Relocated Tokyo Branch to Saitama Prefecture. October 1993-　 Opened Fukuoka Branch. December 1993-　 Commenced importing and selling of Oakworks, Inc made Portal Pro from the U.S.
March 1994-　 Opened Dental Department at Fukuoka Branch. April 1994-　 Relocated Kanto Branch to the present address in Saitama upgrading it to a sales office. September 1994-　 Relocated Fukuoka Branch to the present address in Fukuoka upgrading it to a sales office. November 1994-　 Commenced importing and selling of AMI Inc., made Aqua Relax from the U.S.
April 1995-　 Signed a general agency contract with AMI, Inc.
May 1995-　 Constructed a machine receipt and acceptance center and staff dormitory in Kabutoyama-cho, Mizuho-ku, Nagoya. June 1995-　 Opened Yokohama Branch. November 1995-　 Acquired authorization for Aqua Relax to be recognized as a medical device in Japan under the name AquaPT. April 1996- Opened Fukuyama Branch in Hiroshima Prefecture and combined the Yokohama and Kanto Branches together. March 1997-　 Commenced importing the Vibrosaun from Vibrosaun Australia Pty., Ltd.
April 1997-　 Signed a general agency contract with Vibrosaun Australia Pty.,Ltd. February 1998-　 Acquired authorization for Vibrosaun to be recognized as a medical device in Japan under the name 'Vibrosan'. October 1998-　 Integrated the sales headquarters and delivery center. Relocated the sales headquarters to a newly constructed premises located on Mizuho-dori, Mizuho-ku, Nagoya. Opened Yokohama Branch in Kanagawa Prefecture. March 2003-　 The whole company was certified as meeting the requirements of ISO 9000:2000. June 2003-　 Opened Kanto Branch: Eastern Japan Delivery Center, combining Kanto Branch and Yokohama Branch. Opened Kansai Branch, combining Kobe Branch and Kyoto Branch. March 2004-　 Commenced importing and selling Aqua Spa of American manufacturer AMI Inc.
September 2004- Acquired authorization for PHYSIOMED-Expert to be recognized as a medical device in Japan. June 2005-　 Acquired authorization for Duodynator1049 to be recognized as a medical device in Japan. August 2005-　 Opened Fukuyama Branch in Hiroshima Prefecture. April 2006-　 The whole company was certified as meeting the requirements of ISO 13485. July 2006-　 Opened Sapporo Branch in Hokkaido. August 2006-　 Divided Kanto branch into two offices, re-locating Kita-Kanto branch in Kawaguchi, Saitama and Minami-Kanto branch in Yokohama, Kanagawa. September 2006- Acquired authorization for IONOSON-Expert to be recognized as a medical device in Japan. May 2008-　 Acquired authorization for HighCharge184 to be recognized as a medical device in Japan. 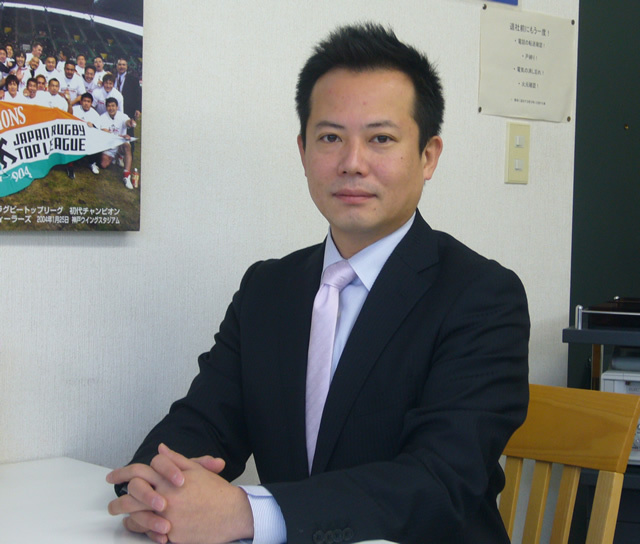 Mr.Toshihiko Iwata assumed the office of CEO and Mr.Yoshinari Morimoto assumed the office of COO. December 2010-　 Opened Kanto Branch, combining Kita-Kanto Branch and Minami-Knto Branch. Acquired authorization for ElesAs® to be recognized as a medical device in Japan. January 2011-　 Acquired authorization for Stereodynator to be recognized as a medical device in Japan. Mayr 2013 Acquired authorization for HighCharge181-P to be recognized as a medical device in Japan. September 2013- Opened Sendai Branch in Miyagi Prefecture. June 2014-　 Opened Tokyo Branch in Minato-ku,Tokyo and changed name from Kanto Branch to Yokohama Branch. July 2014-　 Acquired authorization for HighChargeNEO to be recognized as a medical device in Japan. April 2015-　 Constructed and relocated Fukuoka Branch to the present address in Fukuoka. June 2015-　 Relocated Kansai Branch to the present address in Kobe. November 2016- Acquired authorization for IONOSON-Evident to be recognized as a medical device in Japan.